Despite being unable to please a large number of eagerly awaiting gamers due to its clamorous launch that can be attributed to the PC version which was apparently not ready for release just yet, Batman: Arkham Knight has managed to outrun CD Projekt RED’s most critically acclaimed best-selling RPG title known as The Witcher 3: Wild Hunt on the UK sales charts. Taking the number one spot within the first week of its launch, the new superhero fantasy game has not only emerged as the fastest-selling game of the year, but as the fastest-selling game in the franchise as well. It seems like this is a very profitable year for Warner Bros. Rolling out hit after hit, the publisher is currently reaping the benefits of all the spanking video game content it has delivered this year. After Dying Light and Mortal Kombat X, both of which have grazed the top of the UK video game sales charts in recent times, the latest action-packed title Batman: Arkham Knight, which takes a more ambitious approach to the open world gameplay that was presented in 2011’s Arkham City, has emerged as another hit, a pretty big one actually, just as expected. The most anticipated finale to the Arkham series received a fairly less euphoric reception this week at its launch compared to the previous hit titles in the series all due to the initial issues and technical flaws, but that didn’t stop the fans from taking their wallets out to enjoy the caped crusader’s final feat. Beating previous record holder The Witcher 3: Wild Hunt by a broad margin, Batman: Arkham Knight has become the fastest-selling game of the year by taking the top position in both UK sales charts within the first week of its launch. Batman: Arkham Knight has also claimed the title of the fastest-selling game in the Batman Arkham series, beating week one sales of all the previous games in the series. Though it is the first title in the franchise that has been released much earlier in the year, and that too, on Tuesday. Specific sales figures for each version of the game are unknown yet, however, it is being reported that the PlayStation 4 version of the game contributed 67% to the total sales in the United Kingdom while Xbox One only made up the remaining 33%. PC version of the game hasn’t been taken into account here as it is not available as a boxed copy in the UK, and digital sales do not affect the sales charts. You can check out the charts below (via MetroUK). 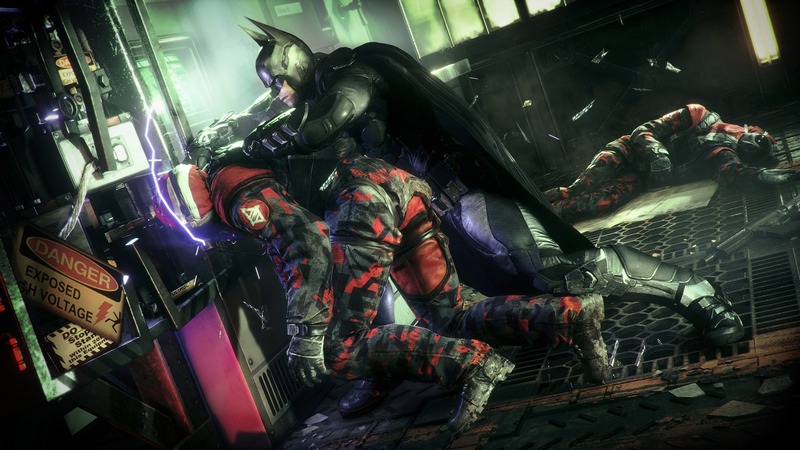 The post Batman: Arkham Knight Outruns The Witcher 3; Becomes the Fastest-Selling Game of 2015 by Fahad Arif appeared first on WCCFtech.